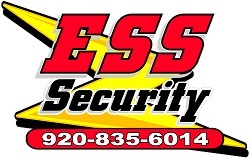 Overall, security camera systems are a great asset to any business security system. The systems can fit any business size. They can range from a single camera and monitor, to a complex video surveillance that consists of hundreds of cameras and multiple operators. IP security camera systems are making it cheaper for businesses to implement a more expansive security system in their business. Video surveillance is a good idea if you are trying to prevent theft and make your employees feel safer. Video surveillance is a precaution, and many business owners are finding that the cost of the service is far below the potential costs to their business if something was stolen or damaged. The need for video surveillance systems goes far beyond simple security. These days, video surveillance can also give you piece of mind by allowing you to monitor your home, keep an eye on your kids and monitor the inventory in your small business. Imagine the reassurance of being able to remotely access real-time or archived footage of your residence or business. And maybe you’ll catch a neighborhood cat up to no good. Depending on the scale of your business, the video surveillance system you use may differ. CCTV systems are analogous systems that were once the norm of the video surveillance industry. They are now more costly to maintain and install than IP video surveillance systems. The only downsides of purchasing a surveillance system can mostly be found in implementing CCTV systems (unless a specific instance calls for it). Purchasing and installing CCTV video surveillance systems can be costly.